The Jacaranda Day lineup just keeps getting hotter! We already have eight of South Africa's best musicians and now we are adding another. Refentse will be joining the long list of spectacular artists who will take to stage and "WOW" you at #JacaDay at the Monument in Pretoria on Saturday 2nd June. Refentse became an overnight sensation having started as a street busker in Vereeniging. Three years after being scouted by his neighbour, he is an acclaimed singer ready to take on the world. Refentse walked away with four Ghoema awards in 2017. He scooped up Album of the Year for ‘My Hart Bly In ’n Taal’, Best Male Artist of the Year, Digital Album of the Year and an honorary award for the best selling album - the same album which reached platinum status. 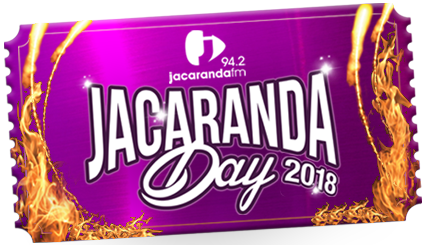 Do you have the hottest ticket in town to see the biggest South African artists on the same stage at Jacaranda Day 2018?